Cargill reported $3.2 billion in adjusted operating earnings for the 2018 fiscal year, one of its best annual performances. The fourth quarter also was very strong for the company. The company’s improved financial results over the past two years are the outcome of significant efforts by its teams to redefine how Cargill operates. The organization runs today with greater agility and stronger integration to serve customers’ rapidly changing needs, the company stated. “Our strong results show we are creating the connections the world needs for vibrant food and agriculture both today and tomorrow”, said David MacLennan, Cargill’s chairman and Ceo. “Cargill has always moved food from where it is produced to where it is needed. Today, we are pioneering new capabilities and partnerships to invest for the future. We are innovating alongside our customers to develop healthy, delicious products made the way consumers want. We are working with farmers and others to implement sustainable agricultural practices. And we are standing up for inclusive global trade that lets food move freely”. Key results for the quarter and fiscal year ended May 31, 2018, include Fourth quarter: Adjusted operating earnings totaled $809 million, a 76 percent jump from $460 million a year ago; net earnings on a U.S. GAAP basis were $711 million, more than double that of last year’s $347 million; revenues increased 7 percent to $30.4 billion. About Full year: Adjusted operating earnings reached $3.2 billion, up 6 percent from last year’s strong comparative of $3.04 billion; Net earnings equaled $3.1 billion, a 9 percent increase and the third straight year of improved performance on a U.S. GAAP basis; Both adjusted and net earnings included a provisional net charge of $86 million related to the U.S. Tax Cuts and Jobs Act enacted in December 2017. This represents a decrease from the estimate provided in the company’s third-quarter release; Revenues grew 5 percent to $114.7 billion; Cash flow from operations increased 11 percent to $5.22 billion. 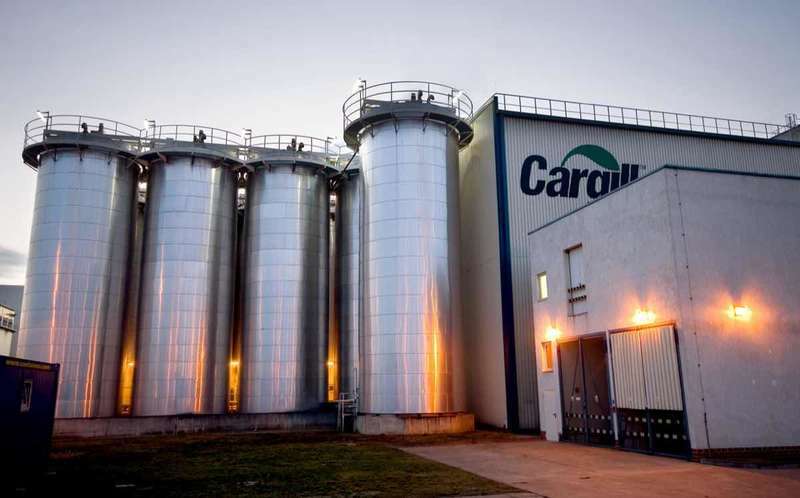 The Animal Nutrition & Protein segment surpassed last year’s strong results, making the segment the largest contributor to Cargill’s adjusted operating earnings in the fourth quarter and the full year. The protein business delivered an exceptional performance, fueled by rising domestic and export demand for North American beef and steady expansion in value-added egg products. Global growth in feed additives, micronutrients and premixes for customized animal nutrition also boosted earnings for the year. Excess supplies of chicken relative to domestic demand in Thailand contributed to a moderate decrease in global poultry results in both periods.